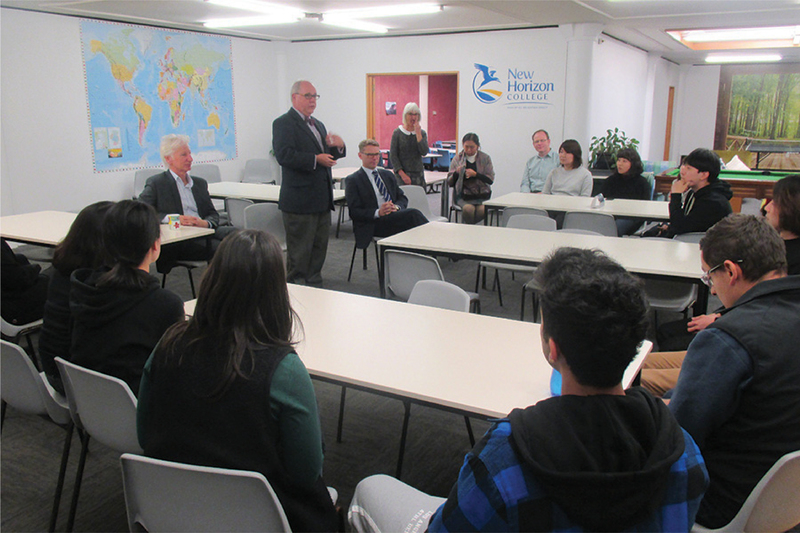 New Horizon College in Napier was delighted to welcome the Minister for Tertiary Education, Hon Paul Goldsmith, on Thursday 15th June 2017. 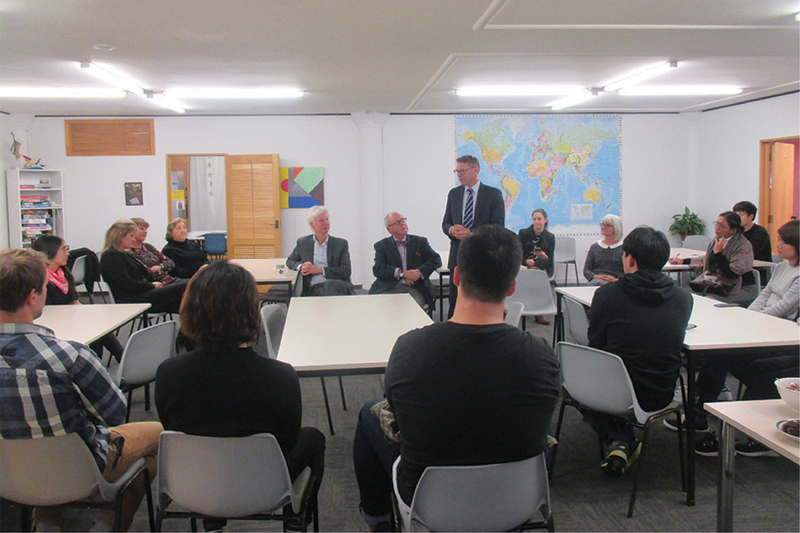 Minister Goldsmith met Director Ewen Mackenzie-Bowie, Principal Wayne Dyer, Director of Studies Lindsey Scott, and staff and students of New Horizon on a sunny Hawke’s Bay day, joined staff for lunch and spoke at length to students, staff and homestay providers. 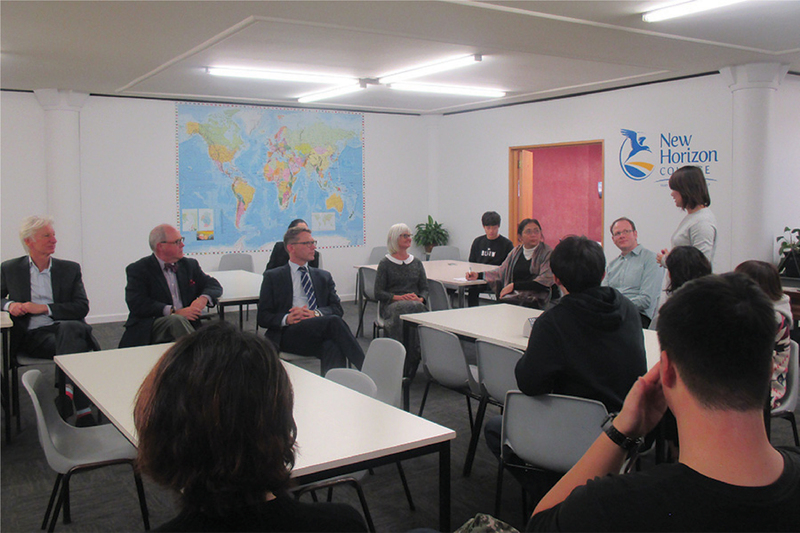 New Horizon College is a member of English New Zealand, on whose behalf the invitation was given, and the visit provided an excellent opportunity for the Minister to see a small regional language school in operation. 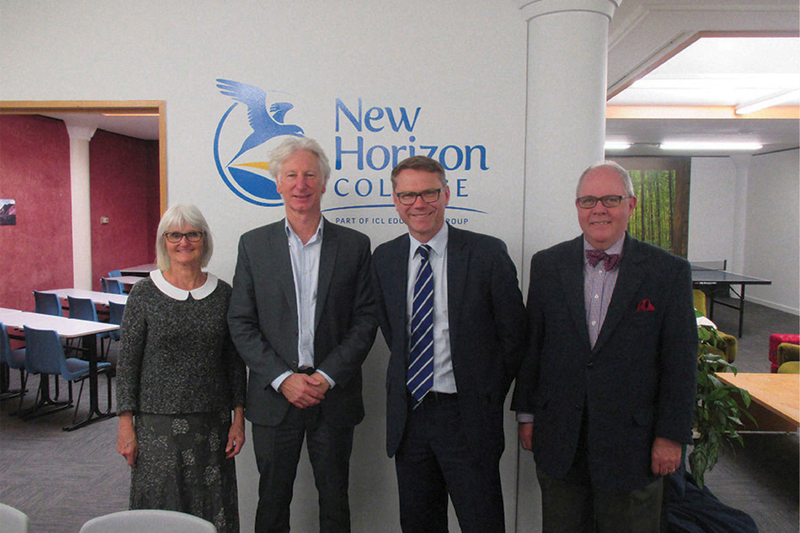 New Horizon College contributes some $6m to the Hawke’s Bay region annually and has been providing an enriching cross-cultural contribution to Napier since 1989.